Here we see a side view of the Arado Ar-68G, showing the basic layout of this fixed undercarriage biplane, the last fighter of that type to enter Luftwaffe service. 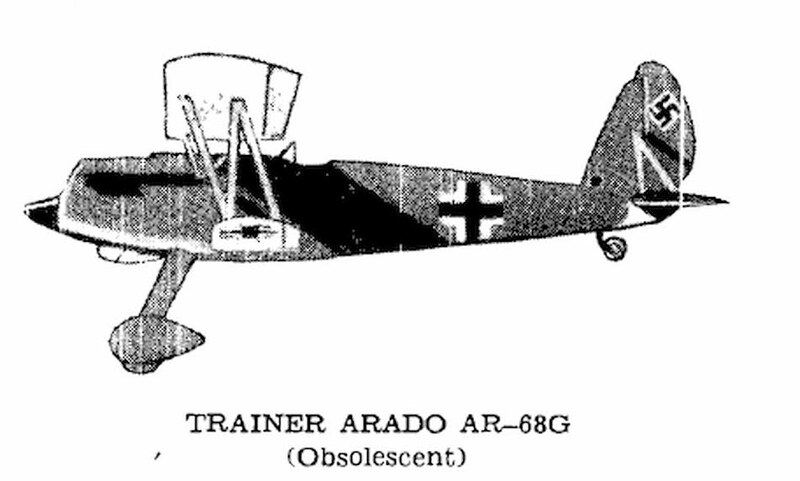 The Arado Ar 68 was originally ordered as a fighter aircraft, to replace the Heinkel He 51. The Ar 68G was meant to be a high altitude version, but at most was built in prototype form, but this view also shows the general layout of the BMW powered Ar 68F, the first major fighter version.